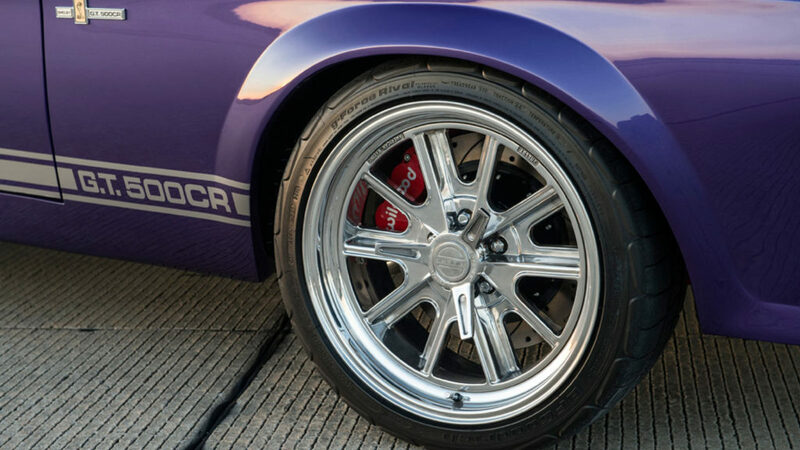 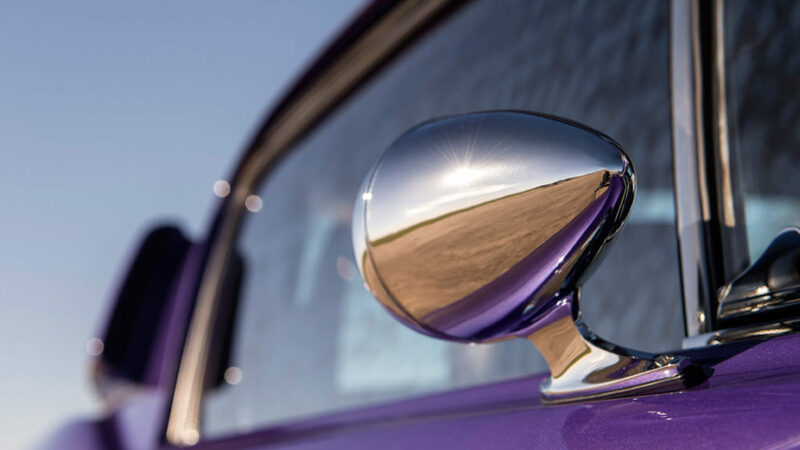 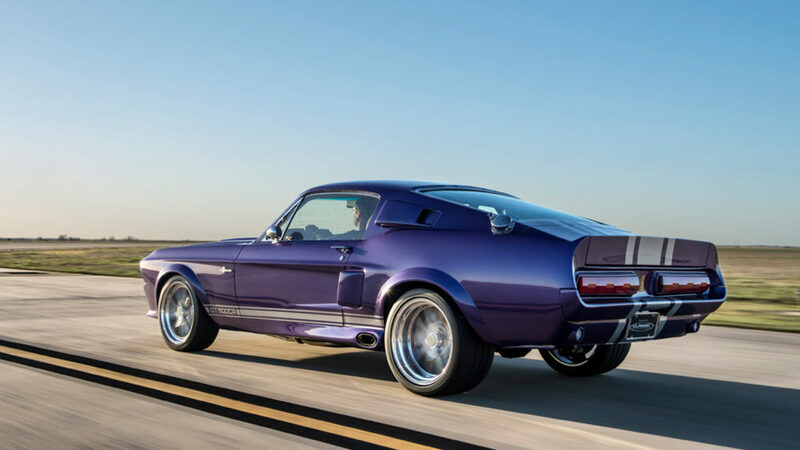 This custom “burple” muscle car is the creme de la creme of classic models. 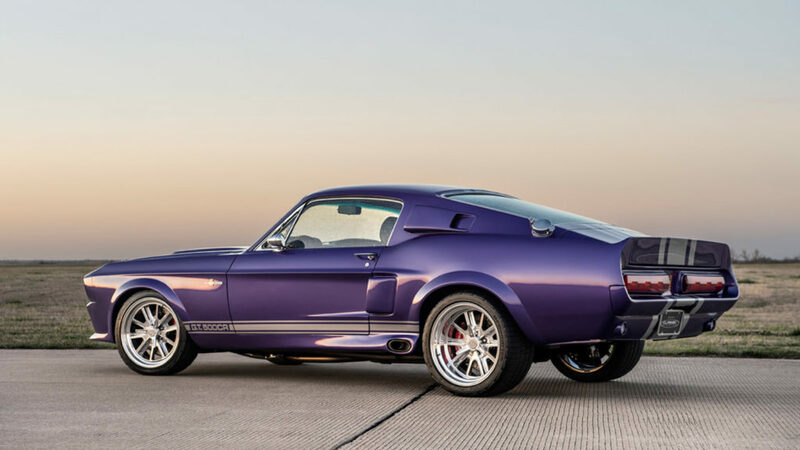 As far as “muscle cars” go, the Shelby Mustang takes the cake. 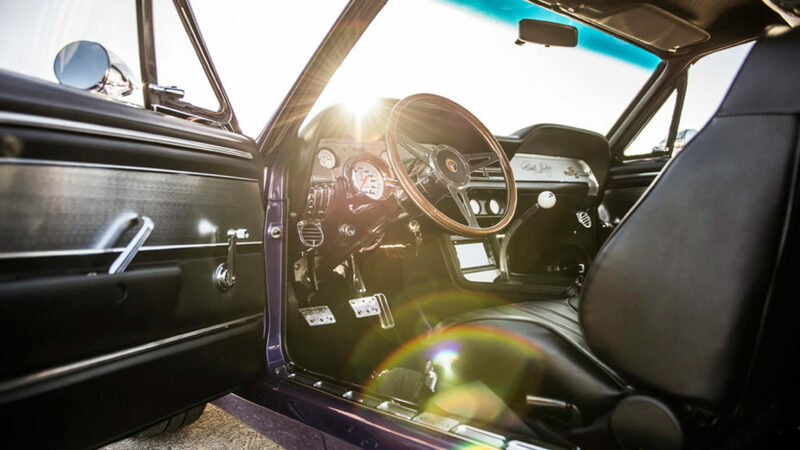 The vehicle is a specimen of classical and powerful proportions and engineering, from an age that didn’t rise and fall to fluctuating oil prices. 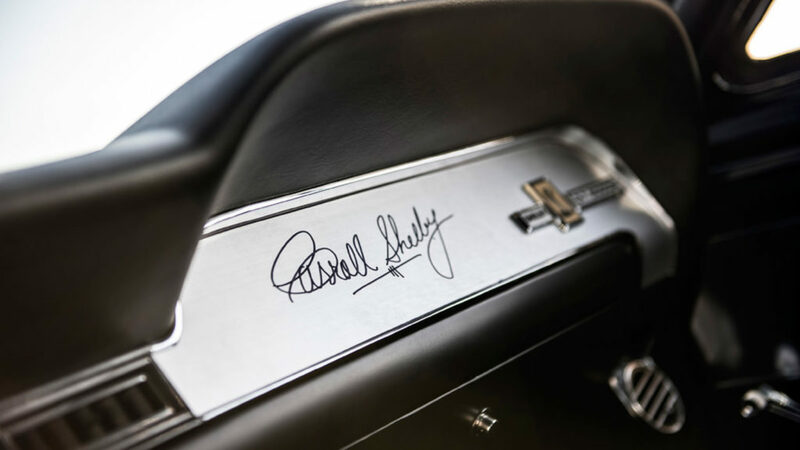 For those still firmly rooted in the golden age, or in the oil-rich Middle East, Classic Recreations Shelby GT500CR 900S Mustang is like a vision in the desert. 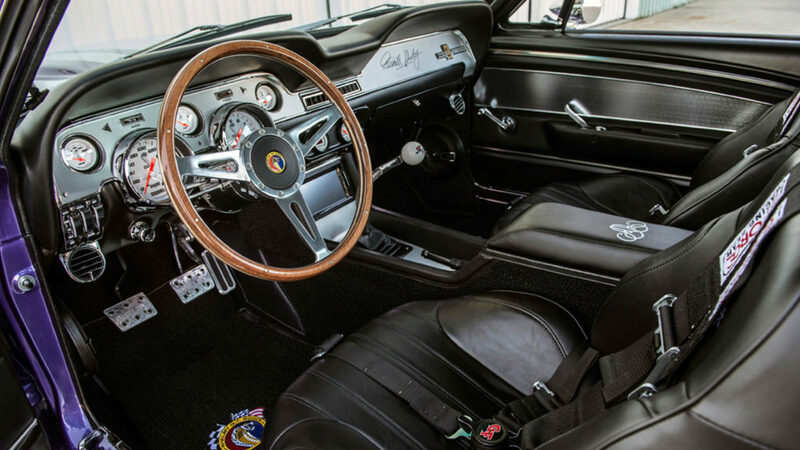 Commissioned by a Saudi sheikh for a personal collection, this Mustang has bee reimagined by Classic Recreations who has handled a number of other projects on classic pony cars. 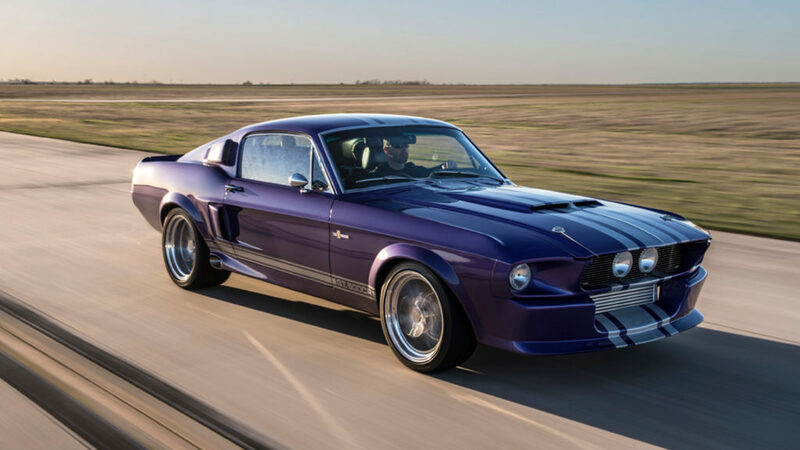 Though the body may look like the pinnacle of vintage muscle car design, this Shelby roars to life with a 7.0-liter supercharged V8 inspired by a Ford Performance crate engine. 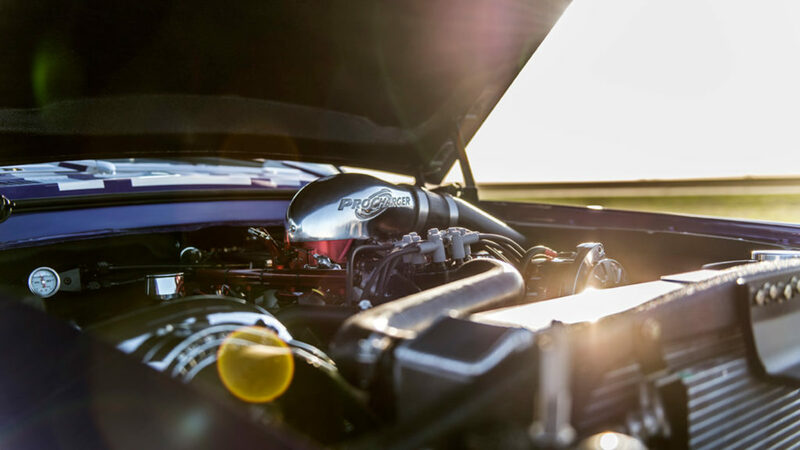 The engine has been hand assembled to deliver 770 horsepower to spin its hefty 18-inch wheels, while its free-flowing side exhaust lets it rip. 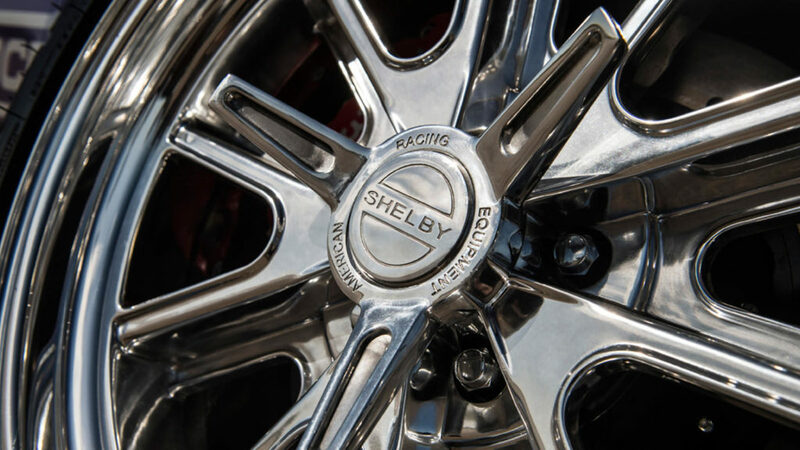 Yet when it comes to putting the halt on all this power, the Shelby’s big brakes lower it down to a purr. 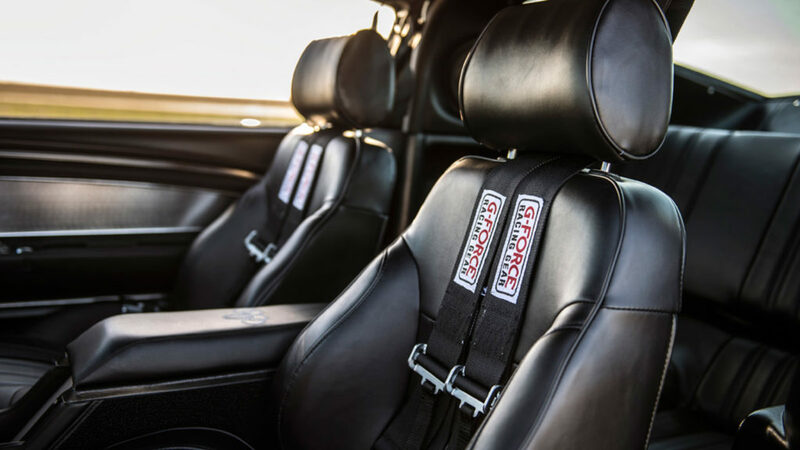 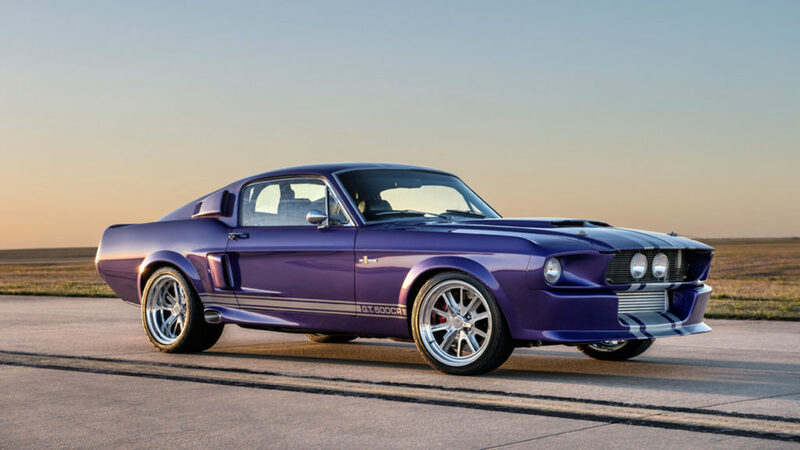 Additional modern amenities include Shelby Performance Parts, race inspired suspension, rack and pinion steering, oversized disc brakes, and others. 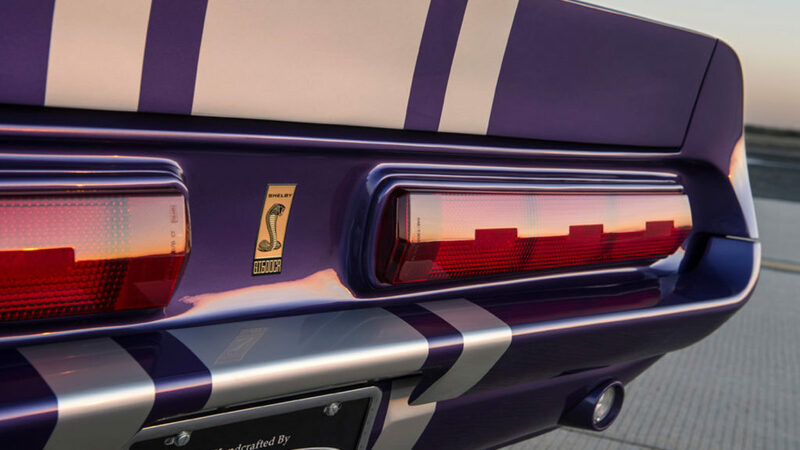 A slightly bombastic purple blue color affectionately termed “burple” is the color du jour of this iteration, but Classic Recreations can produce the Shelby in a number of different custom color options along with its traditional scheme. 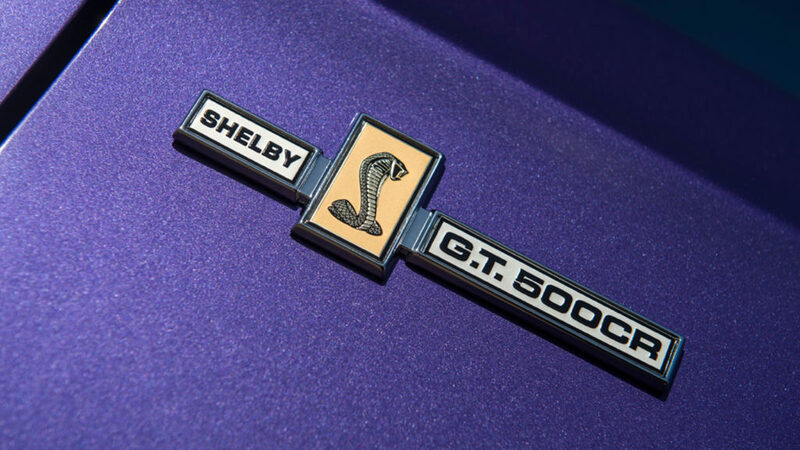 Though you’d have to strike rich on your own oil well to enjoy the full power of the Shelby. 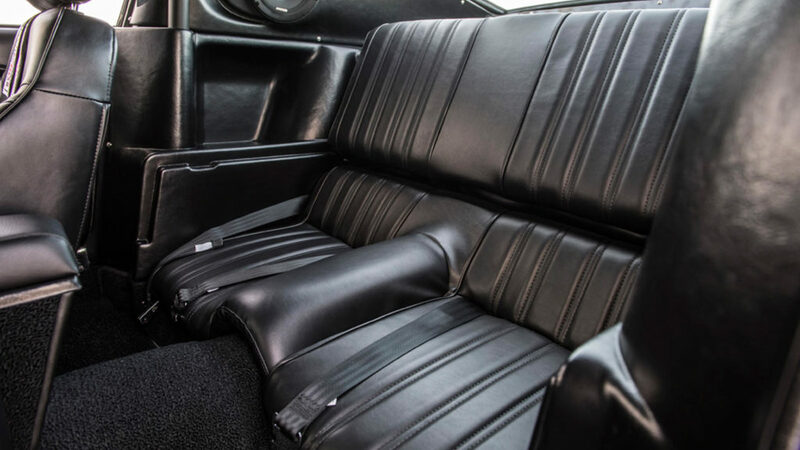 Classic Recreations 900S model starts at a not insignificant $249,000.